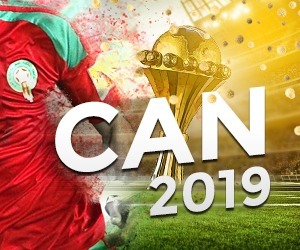 Morocco is on the list of the countries that may host the 2019 Africa Cup tournament after the Executive Committee of the African Football confederation decided that Cameroon will not host the continental tournament next June. The CAF Executive Committee said at a meeting last Friday that the situation in Cameroon was not that safe because of turmoil in the English-speaking regions and the bloody raids by Boko Haram, in addition to the fact that infrastructures have not yet been finalized. The governing body of African football has decided to call for applications to host tournament. However, as the 32nd CAN is only seven months ahead, few countries have the necessary structures to host the event, namely Egypt, Morocco and South Africa. Egypt, which hosted CAN in 2006, can be an alternative to Cameroon. However, the country has only two major stadiums, that of Cairo and that of Borg Al Arab in Alexandria. The two alone cannot accommodate 24 teams. South Africa seems a favorite as a replacing host country. It organized the 2010 World Cup, one of the best in history, and the CAN 2013. The country has, therefore, all the infrastructure necessary to host the competition in 2019. As for Morocco, the host country of the latest African Nations Championship of local players (2018), and candidate for the organization of the World Cup 2026, it seems to be the most logical solution. The kingdom has not hosted the CAN since 1988, unlike Egypt and South Africa, and has several stadiums of international standards, as well as a high-level road and hotel infrastructure. In terms of security, Morocco is one of the safest countries on the continent, an important criterion that may influence the CAF’s choice. According to press reports, the South African football federation, SAFA, is waiting for the Government’s greenlight to submit its candidacy, while Morocco will officially submit its file in few days. CAF will have only few days to examine the candidacies as it will announce the new host country before year’s end.